This week at AcadeCamp was amazing. On Monday, campers made a ‘’paper mache volcano erupt’’ using baking soda and vinegar. They used a cardboard box to make the base. As well, in a bowl, they created a mixture of white glue and water. Firstly, campers scrunched up sheets of newspaper, submerged it in the glue mixture, and stuck it on the cardboard around a jar. Secondly, campers added several layers of paper mache until the shape looked like a volcano. 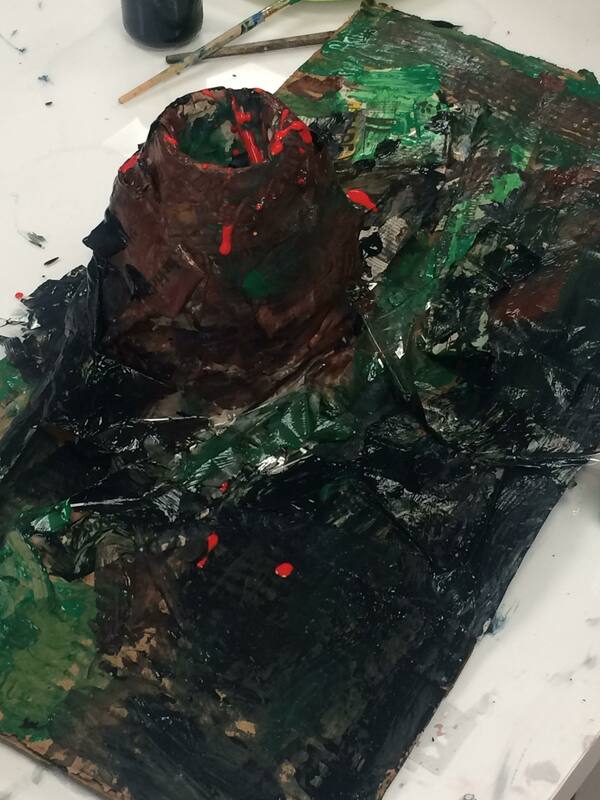 We let our volcanoes dry for 4 hours in the sun, and as soon as it dried, campers started painting it. Then, through the funnel, they added 5 or 6 tablespoons of baking soda. Finally, we added vinegar and we saw a beautiful volcanic eruption, demonstrating chemical properties. On Friday, campers created their own PREZI. Prezi is a presentation software that uses motion, zoom, and spatial relationships to bring your ideas to life. Campers put their various ideas together in order to create something that reflects their curious and creative mind. They did a great job once again with an amazing team-work attitude ! No Comments on "Acadecamp: Science and Matter"